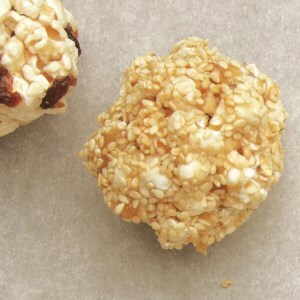 Find healthy, delicious popcorn ball recipes, from the food and nutrition experts at EatingWell. 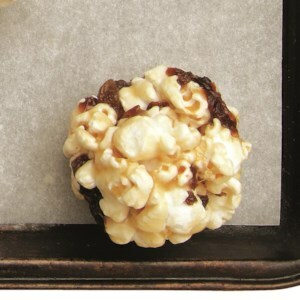 These popcorn balls are made with agave nectar and peanut butter and are spiked with chocolate covered pretzels and dried cherries for a special treat. 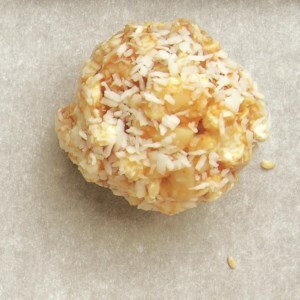 Try making them for your Halloween party this year. 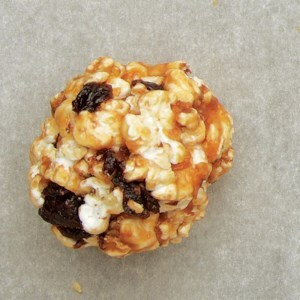 This simple recipe for caramel popcorn balls with raisins is fun to make for Halloween.